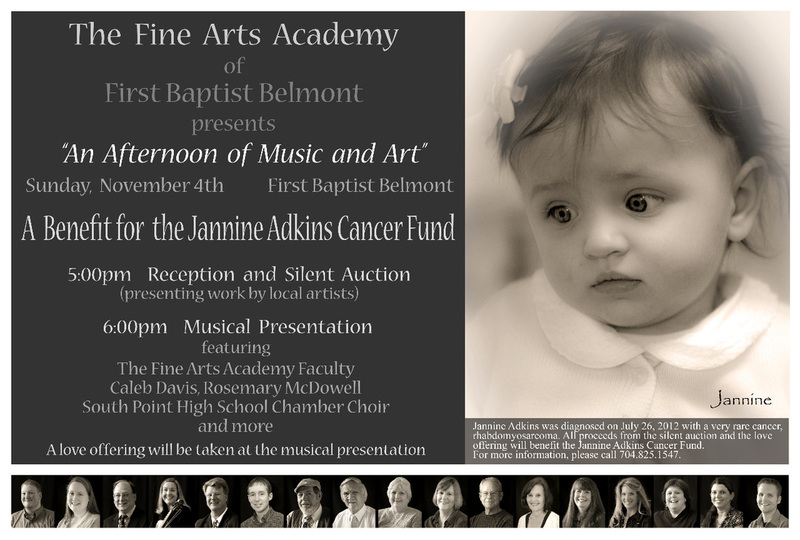 An Afternoon of Music and Art - Fine Arts Academy of Belmont, Inc. The silent auction will be featuring artwork by Deveta Glenn, Davis Goodman, Belinda Gunter, Janet Myrick and others. More information to come.